Tesla Model S P85D is at it again. This time it's drag racing a new BMW M4! 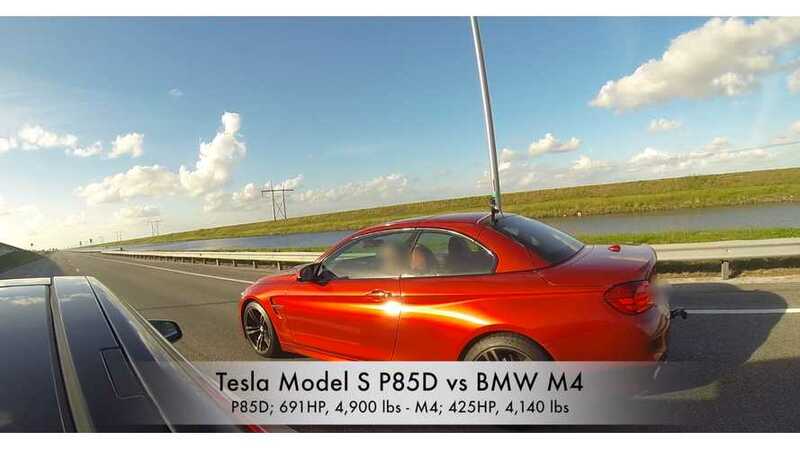 Undoubtedly, these are 2 cars aren't alike, though it seems like every vehicle wants to take a shot at the Model S P85D. For example, a Ferrari 458 Italia going up against a Model S P85D. Or how 'bout a Lamborghini Aventador up against a Model S P85D? We highly suspect that these few races against the P85D are only the beginning and that there will be tons more… Enjoy! *Editor's Note: Racing is strongly suggested to be conducted only on the race track. Not on public roads.